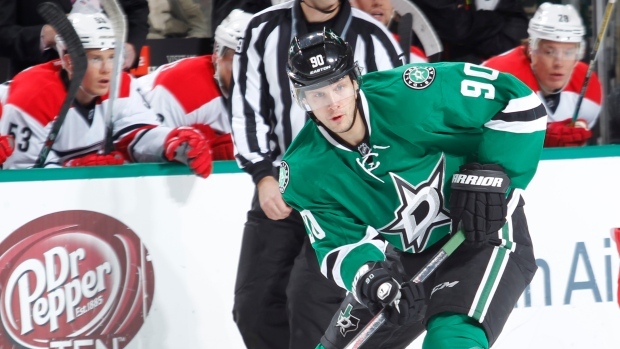 The Dallas Stars and Jason Spezza have agreed on a contract extension. According to TSN Hockey Insider Bob McKenzie, the deal is for four years at an annual average salary of $7.5 million. Fellow TSN Hockey Insider Pierre LeBrun reports that the deal includes a no-trade clause. Spezza, acquired prior to the 2014-15 season from the Ottawa Senators, has scored four goals and 14 assists in 20 games with the Stars this season. Dallas sent wingers Alex Chiasson, Alex Guptill and Nicholas Paul with a second-round draft pick to the Senators in exchange for Spezza on July 1, 2014, with one year remaining on the former Ottawa captain's seven-year, $49 million deal. The 31-year-old centre spent the first 11 seasons of his NHL career with the Senators where he was a point-per-game player. In 686 games with Ottawa he scored 251 goals and 436 assists for 687 points. Originally selected second overall by the Senators at the 2001 NHL Entry Draft, Spezza was a key piece in the deal that sent former team captain Alexei Yashin to the New York Islanders. A Mississauga, Ont.-native, Spezza has represented Canada internationally on numerous occasions. He won a pair of bronze and one silver medal at the World Junior Hockey Championships between 2000 and 2002, his first appearance making him just the third Canadian player to appear in the tournament as a 16-year-old. Spezza also has a pair of silver medals from the IIHF World Championships in 2008 and 2009 and captained Canada to the 2012 Spengler Cup during the lockout that forced the cancellation of half the 2012-13 NHL season.